Starting today, I’m making it easier for businesses to get the web development services they need in addition to the conversion rate optimization consulting I have been offering. The internet has really grown up over the years and now it has become a requirement for every business to have a website. 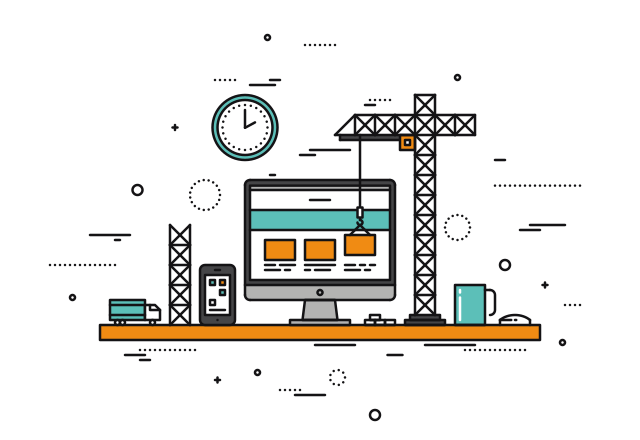 Even before setting up a physical location, businesses will have a website. The most popular platform for building these sites is WordPress – and I started using that back in 2009. To help people overcome the challenges of getting started with WordPress, I host a weekly help desk event through Triangle WordPress. If you’re struggling and just need someone to answer a question or two, feel free to join this free and public group to participate in the next help desk. Back in 1999, I landed my first job as a professional website developer. It was January of that year when I created the website for a local Super 8 Hotel. Prior to this job, I had worked with a team to develop the website for my high school and I had created the site for my family’s restaurant. At that time, there were very few people building websites in Asheville. Back then, everything was coded in raw HTML and Notepad was my development tool of choice. Given that all businesses need to have a website, it is obvious that most will not be able to afford a full-time web developer. The national average salary for web developers is $66k, making it difficult for small and medium businesses to keep these skills within their own team. At a cost of just over $5,000 per month, your website needs to generate a lot of direct sales with great margins to justify hiring a full-time web developer. However, most businesses simply need their website to serve as an online business card and bulletin board that promotes their product and services. For these businesses, it doesn’t make sense to bring in full-time help for part-time work. Rather than hire a full-time web developer, what you really need is part-time access to the skills a web developer possesses. You can save money by only paying for a web developer when you are rolling out a new website design, migrating your site to a new hosting environment, or making other significant changes. Furthermore, you need to work with a developer that is focused on conversion rate optimization and getting you a positive return on your investment. Sure, there are lots of web technologies available that can make your site look great – but which ones will actually drive sales? You can find a list of the tools I already use in the Gadgets & Gear section of this site. Some of these help me collect and analyze data so I can better serve my consulting clients. Also, some of these are tools that help me create conversion optimized WordPress sites for my web development clients. In addition to helping with the development of your site, I help by bringing the right tools for the job and continually updated skills. I invest in my own education and programming skills. This gives you access to a continually updated set of technical skills without investing your time and money in continuing education. Probably the thing that truly sets me apart from other web developers is my focus on conversion rate optimization. You see, I have one foot in the marketing world and one in the development side of business. Rather than simply suggesting a design element because it looks nice or would be interesting to implement, I am constantly balancing design choices with potential return on investment. This keeps your site focused on serving the customer and gets the job done on-time and on-budget.